295 lb-ft. Torque 273 lb-ft. When the average person thinks of Porsche, they automatically think of legendary sports cars. However, in recent years, the Porsche Cayenne and Macan, the two SUV offered by Porsche have become top sellers. Of the two, the 2018 Porsche Macan is the smaller and currently, holds the title of the best-selling model. However, despite this fact, the 2018 Porsche Cayenne is worth far more than a second look. According to U.S. News & World Report, both vehicles rank highly in their classes. One of the first specifications the discerning Porsche buyer tends to look at is what a particular model has hiding under the hood. Both of these vehicles live up to their family tradition housing a range of powerful engines. The 2018 Porsche Cayenne is available with your choice of two different engines. The first is a 300 horsepower 3.6-liter V6 engine rated at 295 lb-ft of torque. This engine is available in the base AWD version, the Platinum Edition AWD, S AWD, and GTS AWD models. For those who simply need more power, there are the Turbo and Turbo AWD versions that come with a massive twin turbocharged 520 horsepower 4.8-liter V8 capable of producing 590 lb-ft of torque. All engines are connected to an 8-speed automatic transmission. The 2018 Porsche Macan also comes with your choice of two different engines. The first is a 252-horsepower inline four-cylinder engine that produces 273 lb-ft of torque. This engine is offered in the base AWD drive model. All other models come equipped with a twin-turbocharged 340 horsepower 3.0-liter V6 that cranks out 339 lb-ft of torque. The Macan comes equipped with a 7-speed automatic transmission. Thanks to recent upgrades, both the 2018 Porsche Cayenne and 2018 Porsche Macan now have extremely user-friendly infotainment systems easily accessed via a highly responsive touchscreen. Both systems offer the user a choice between using the touchscreen or physical buttons for certain functions. The big difference is that in the Cayenne a navigation system is standard, this system is optional in the Macan. When it comes to comfort, the 2018 Cayenne comes standard with dual-zone automatic climate controls that can be upgraded to a four-zone automatic system for maximum comfort. The 2018 Macan is only offered with a tri-zone automatic climate control. For those who want maximum online connectivity, both vehicles can be ordered with Apple CarPlay and a WiFi hotspot. 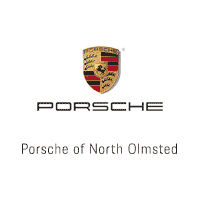 If you are interested in learning more about either the 2018 Porsche Cayenne or Macan, you are cordially invited to see all they have to offer at Porsche of North Olmsted. We carry an extensive selection of these top-selling SUVs for you to choose from. Our highly knowledgeable sales specialists can answer any questions you might have and arrange for you to take one of each of them out for a test drive to see which one is the right choice. Come in and see us today, but be ready to drive home in your new Porsche!